Sign up and get the Pinyin ebook for FREE! Hanyu Pinyin (汉语拼音) should be the basic foundation of your Chinese study. If you want to speak Chinese well, you should start your learning journey with the Pinyin system. Divided into 24 days/lessons, this ebook is organized systematically by referring to the Chinese language syllabus of the primary school in China and Singapore. The ebook uses 100++ examples with audio, visual as well as text to increase the effectiveness of the learning process. I hope that it will prove an invaluable guide for learners from an English-speaking country who truly want to learn Chinese. I would like to take this opportunity to thank teacher 练奎胜老师 for spending his time to go through the book and correct some of mistakes that I have made during the preparation of my ebook. I have made every effort to ensure the accuracy of the information of this ebook. However, please do not hesitate to correct me if you find any mistake in the ebook. Last but not least, you can share your learning Pinyin experience at the comment section here. Any correction, suggestion and improvement for the ebook will be very much appreciated. How to download this ebook?? Help me to “viral” the ebook by telling at least 5 of your friends or sharing it on facebook. And you will be redirect to the download page. If you have problem download the ebook, please email me. I can send you the download link. I will send you the link to download the ebook. I tried but I can’t download ebook. This form did not work. please send me the ebook. Thank you. I am in a Traditional Chinese Medicine class and many people are learning Chinese. I would like to recommend it to others in my class. Thank you! Sorry for the inconvenience. I have fixed the problem. Now it should be working. Yes. This is Mandarin Chinese. Why do you say so? Is it because you have to tell your friends or share on Facebook? Please let me know if you have any problem to download the ebook. Or you can email me at minmin.teoh at gmail.com. I downloaded the e-book as well as the Adobe Reader. But how do I make the audio files play? When I go to click on the icons my mouse just highlights them. 🙁 Could you please tell me what I am doing wrong? Have you “trust this document always” ? I don’t know how to “trust this document always.” Nothing happens when I try to click on the icons. No window opens and asks me if I want to trust the document. I am using a mac. Does that make a difference? I think the audio doesn’t work in Mac. I haven’t tested the audio in a Mac machine. I just noticed that the embedded sounds do not work in latest Acrobat Reader X (Windows version) too. I will try to make the audio works in Acrobat Reader X. If it doesn’t, at least I will make all the mp3 available for download. Sent the link to your email. Please check. i clicked the link from email and it says i have copied the link incorrectly. can you please email it to me directly? i don’t have a facebook account. can i just email/forward this link to 5 friends instead – otherwise no way to download? Yes. You can share on Facebook or sent the links to at least 5 of your friends. I have sent you an email describing how to download the email. Anyway happy Chinese new year to you and family. Thanks for downloading the email. Currently the audio format is MP3, which cannot work on iPad and Adobe Reader X.
I am trying to change the audio format to WAV which will work on Adobe Reader X.
I have sent you an email on how to download the ebook. You can download as many time as you like since it is a public folder. You can access the link directly. You just need to share the link (http://www.learnchineseeveryday.com/) on your Facebook wall and it doesn’t retrieve any other privacy information from you. The reason I do the “viral” page is to help me to promote my website. I hope by doing that, my website will get more traffic. If you any issue to download the ebook, please don’t hesitate to email me. I am always here to help. I have sent you an email. Please check. THANK YOU FOR YOUR HELP.THIS IS WONDER CREATION. I have told my 5 friends but i can’t download this e-book. Could you give me the link to download? Could you please try again? If you still can’t download the ebook, please let me know. I still can’t open the ebook. Please help. Thank you. I have send you an email on how to download the ebook. Please check. Please let me know in more details the error. Thanks. I filled out the form to get the eBook, and abandoned it when I saw the requirement to email five friends. Two days later I went back to get it, and it tells me that the code emailed to me is invalid. I tried to get a new code, but it says I can’t use the same email address again. I’m basically stuck in a state where I can’t even get to the page that asks for my friends email addresses. Thanks for your interest to download the free eBook. I have email you the steps to download the eBook. Please let me know if you are still having problem to download. I m Aneeiy from Bangladesh. I love Chinese Language. I know some Chinese Phrases. But i don’t know how to write this. Now i want to know, How many Useful Chinese character use in this language. Is it possible to learn for me? this is legrand charles from india..
From past year onwards i like to learn chinese…day before yesturday only i gone through ur website….and i surprised that the same word in chinese have different meaning by the way of pronountation style…. i download the ebook “Learn Hanyu Pinyin In 24 Days”…and going through…i hope u will help me if i attain any risk in that….how to converse with u through skype and facebook. I hope you find my Pinyin ebook helpful in learning Chinese pronunciation. I am not a Chinese teacher and I have a full time job. I run this website in my spare time. I’m sorry to say that I do not provide any 1-on-1 online tuitions or classes. If you have any questions, please don’t hesitate to post questions here. i hope u reply soon to me…………..
Glad to hear that you have downloaded the ebook. Please let me know if you have any problem using the book. I have sent you an email. Please let me know if you experience any problems to download the ebook. hye min min.. is the free ebook still available? how to get the ebook?tq.. Yes. I have a solution. I have to use WAV instead of MP3 as the audio. However, the file size of the ebook increase to 280 ++ MB (originally only 38 MB) which may be too big to download. I think you are using the latest Adobe Reader X to open the ebook. Unlike previous version (Adobe Reader 9), it doesn’t support MP3, thus the audios are not working. Please let me know if you still have problem playing the audios. Just to let you know that the e-book works perfectly for me. 😀 It looks great and I can’t wait to be learning pinyin. Would you have any recommendation for learning hanzi? Thank you very much! xiè xiè! Glad to hear that the ebook is helpful to you. 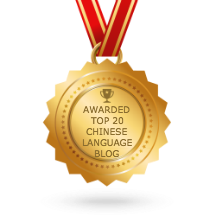 You can learn how to read and write Hanzi from my website here. I post a Chinese character a day with animated writing strokes as well as audio to pronounce the word. I need a password of this file. Hope to be given it by u. Thks so much. Please let me know if you have any problem to download the ebook. I have tried to send you an email (@me.com account), but it fail to deliver. Could you send me an email to minmin.teoh at gmail.com ? Hi Min min,I have already sent the viral emails to 5. I couldn’t download too. Because link was error. I have sent you email. Please check. Please, can you send it also to me? I cannot download ebook after i was ask to share, please help, thank you. I hope you have downloaded the ebook. Please let me know if you have any difficulties to download the ebook. I have sent the link to your hotmail. Please check. I have submitted 5 emails but I received an error message while trying to download the ebook for han yu pin ying. Can you help? I have fixed the script error, and send you the link to your email. I have sent you the link. I have sent the link to you. I’ve shared the link to all my friends. can you please send me the e-book? I have sent you the download link. But I’m very excited to see and learn it when I get the ebook! If you get the chance, could you send it to me? Thanks so much! I have sent you the link. Thanks. I have started learning Mandarin and I think your book could help me a lot. Can i please have your book ? I sent my name and email to get the free ebook but never got email to confirm my email can you please send me the ebook? I have sent you the download link. Please try again. I resent. Please check in your junk mail too. Dear Min Min! Unfortunately, I cannot download your book. I will be really grateful for your help. All the best – Anna. I have sent the link to you email. Could you please share the link to the ebook with me? I have sent the link to your email. I cant download your, 24 days ebook. Could you please send me a link? Hello! Could you please send me your e-book? Thank you so much for your work! Hello! Could you please send me your e-book? Thanks for your work!! The form does not work; would you please send me the link? Also, wouldn’t it just be easier for you to give a download link, directly on your website? Hi, unable to get the link.